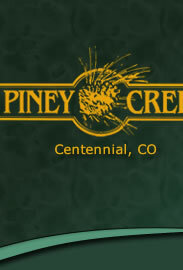 Welcome to the online home of the Piney Creek Maintenance and Recreational Associations. A great place to live and a great place to play. This covenant controlled community of 1,851 homes is located southeast of metropolitan Denver, Colorado in the City of Centennial. On Wednesday, April 24th the Piney Creek office will be opening at 12:00 p.m. and the office will be closed at 4:30 p.m. Thank you for your understanding. We are the green week. Board of Director meetings are held the third Tuesday of each month starting at 6:00 p.m. in the Piney Creek clubhouse (5800 S. Joplin Way). No meeting is held in December. 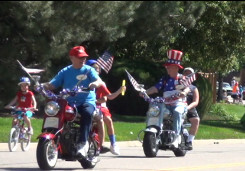 Meetings are open to all members; however, those persons wishing to appear on the agenda should contact the management company (303.369.1800) at least one week prior to the meeting date. All exterior alterations and improvements to your home and landscape require approval from the Architectural Control Committee. Please get approval before painting your home or replacing your roof. Why must I submit an ACC Request? When you paint your home, including using the same colors, you must submit an ACC application, including all paint colors covering; base, trim, roof-line, accent (front door, shutters) and garage doors. Garage doors shall be painted the base color of the home. In rare instances the ACC will look at trim color for the garage door, but it must look appropriate to the home. Need Help Choosing Paint Colors? The ACC worked with a local paint supplier to put together suggested paint colors that we feel are a good match for Piney Creek. These books can be checked out at the club house with the community manager. We’ve had a lot of wonderful comments from residents who did not know where to start to pick colors and have ended up with some gorgeous homes! Please take advantage of this community benefit. Don’t be afraid to request an ACC committee member come to your home to help if you need another opinion or guidance. The Architectural Control Committee has adopted, and the Board of Directors has ratified a change to the Architectural Guidelines to include a list of approvable roofing material for each filing. Click here for more information.